A significant carbon-14 enhancement has recently been found in tree rings for the year 994, suggesting an extremely strong and brief cosmic ray flux event. The origin of this particular cosmic ray event has not been confirmed, but one possibility is that it might be of solar origin. Contemporary historical records of low-latitude auroras can be used as supporting evidence of intense solar activity around that time. We investigate previously reported as well as new records that have been found in contemporary observations from the 990s to determine potential auroras. Records of potential red auroras in late 992 and early 993 were found around the world, i.e. 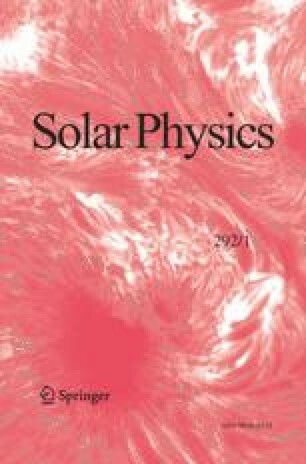 in the Korean Peninsula, Saxonian cities in modern Germany, and the Island of Ireland, suggesting the occurrence of an intense geomagnetic storm driven by solar activity. We thank T. Nagamoto for bibliographical information on the medieval western calendar system, H. Arimitsu for technical advice on transliteration of Saxonian manuscripts, D.P. Cabezas for grammatical advice, M. Takakuwa and M. Hayakawa for giving us advice and insights on medieval western history and contemporary documents, and F. Miyake for interpreting the carbon-14 spike in 993/994, although the responsibility for the text rests entirely upon the authors. We also acknowledge the support from the Center for the Promotion of Integrated Sciences (CPIS) of SOKENDAI, the Kyoto University’s Supporting Program for Interaction-based Initiative Team Studies “Integrated study on human in space” (PI: H. Isobe), the Interdisciplinary Research Idea Contest 2014 by the Center of Promotion Interdisciplinary Education and Research, the “UCHUGAKU” project of the Unit of Synergetic Studies for Space, and the Exploratory and Mission Research Projects of the Research Institute of Sustainable Humanosphere, Kyoto University. This work was also encouraged by Grant-in-Aid from the Ministry of Education, Culture, Sports, Science and Technology of Japan, Grant Number JP15H05816 (PI: S. Yoden), JP15H03732 (PI: Y. Ebihara), and JP15H05815 (PI: Y. Miyoshi). CELT: 2000, Corpus of Electronic Texts, text ID number: T100001A, University College Cork, Ireland. http://www.ucc.ie/celt. Accessed 01 Dec. 2016. Hayakawa, H., Mitsuma, Y., Fujiwara, Y., et al. : 2016c, Publ. Astron. Soc. Japan, in press. arXiv.